Carequality, a new initiative dedicated to accelerating progress in health data exchange among multi-platform networks, healthcare providers, electronic health record (EHR) and health information exchange (HIE) vendors was announced Monday February 24, 2014 at the HIMSS COnference in Orlando, Florida. Carequality is an open, transparent and inclusive industry-driven effort that will convene stakeholders and facilitate industry consensus to develop and maintain a standards-based interoperability framework that enables information exchange between and among networks. Carequality’s goal is to facilitate agreement on a common national-level set of requirements that will enable providers to access patient data from other groups as easily and securely as today’s bank customers connect to disparate banks and user accounts on the ATM network. Once achieved, this level of health data interoperability will represent a quantum leap in the quality of healthcare available and reduce the cost to support interoperability. "The new frontier in achieving nationwide, secure health data exchange involves building upon all of the existing great work across various consortia and networks and tying it all together into a unified approach for the industry," said Mariann Yeager, Healtheway’s Executive Director. "A group of organizations – including many of those most active today in achieving nationwide interoperability – approached Healtheway about serving as the neutral convener for industry stakeholders to come together and work through implementation-level issues to enable exchange between and among networks. Today, we are presenting a call for action to participate in CareQuality and join this effort." Interoperability is a key component of the meaningful use program and is critical to building out an IT infrastructure to supporting a transformed healthcare system. CareQuality's work will be available to all industry stakeholders regardless of membership so that any provider group, electronic health record vendor, or exchange network can see how the group’s participants are accelerating exchange connections by using a single, non-proprietary interoperability framework. At last year's HIMSS conference a group of EHR vendors, headed up by McKesson, Athenahealth and Cerner, started the CommonWell Health Alliance to promote interoperability. Epic, which was left of the effort, said this was more of a competitive play, and declined to join. Epic has questioned the purpose of Commonwell, claiming it is unnecessary since national interoperability standards already exist. Now Epic, along with many leading HIE vendors are anchors in the CareQuality Initiative. “We are pleased to support Healtheway’s Carequality initiative. We strongly believe in the democratization of data exchange under the guidance of an independent national convener like Healtheway. We have a successful track record of cross-EHR interoperability conforming to the NwHIN and newer Direct standards and welcome the opportunity to work with this broad group of well-respected industry stakeholders to help accelerate record exchange under free and open standards," said Carl Dvorak the President at Epic. HIE vendors like Medicity, ICA, Orion and Optum to name a few, are on board with the new initiative, and having it under the auspices of Healtheway as a neutral third party convener seems to give it some degree of transparency. "The Carequality initiative aligns strategically with Medicity’s commitment to interoperability and integrated workflow solutions for network-enabled population health. We are excited to join with key industry stakeholders to foster a more effective, connected health care ecosystem. Collectively, we embrace the value of continually improving patient outcomes, and this collaboration demonstrates great strides toward that goal," said Nancy Ham, CEO of Medicity. A new national survey of nearly 1,000 physicians conducted for Medical Economics from November to December 2013 by The MPI Group (967 respondents with an approximate +/-3.2% margin of error) shows widespread dissatisfaction related to the functionality and cost of these patient record systems. About 45% of physicians believe patient care is actually worse as a result of adopting EHR technology, two-thirds would not purchase their current EHR system again, and 43% of physicians say these systems have resulted in significant financial losses. In addition, the current state of technology has not improved the coordination of care with hospitals, physicians say. 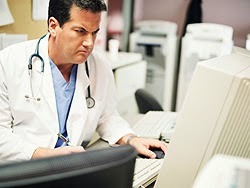 The survey results corroborate recent national reports from the RAND Corp. scolding the health IT industry for creating systems that interfere with patient-doctor communication, are cumbersome to use, time-consuming for physicians to enter data, and don't communicate well with hospital systems or other physicians. All of these factors are helping to contribute to professional dissatisfaction as was born out by the new survey. Georgiann DeCenzo, executive vice president of Advanstar Medical Communications Group, a healthcare media division that includes Medical Economics, says, "These results showcase a major disconnect between the goals of the government's EHR incentive program for providers, and the implementation of these systems. Physicians are giving the healthcare information technology sector valuable insight on their customers' preferences, and vendors should factor this into their future development plans." Medical Economics collected hundreds of comments from physicians about EHR systems. While recognizing the benefits of health IT, many physicians also complained of workflow issues, and problems with usability and cost. They also offer some very good advice if you are considering switching EHRs - and this year that is likely to happen quite a bit as vendors which were previously certified struggle to achieve certification in the 2014 Edition, and as previously Complete Certified EHR Technology is only able to attain Modular Certification thus requiring either additional modules or a complete rip and replace. There is no doubt in my mind that the smart use of health IT will improve care and lower costs, and I am not all surprised at some of the pain points that surface in this survey. Important things that are worth doing are rarely easy to accomplish. Our entire health system is undergoing a radical transformation, and the IT infrastructure to support this is barely in place. Physician satisfaction will be a key linchpin in the success of this transformation, and my hope is that we can truly look out for the little guy and avoid the creation of a healthcare digital divide between large health systems and physicians practices, especially those practicing in rural and underserved communities. 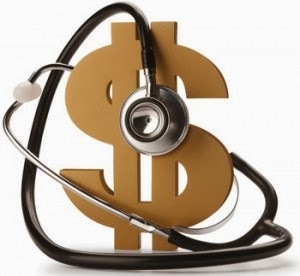 Although they have not yet determined how it will be paid for, the House (bill referred to Committee on Energy and Commerce et al) and Senate (bill referred to Senate Finance) have agreed on a permanent fix to the sustainable growth rate (SGR) formula that sets physician payment in the Medicare program. Under the deal Medicare will increase the amount it pays physicians by 0.5% each year for the next five years. The plan provides financial incentives for healthcare providers to participate in tests of alternative payment models (APMs). The deal also includes offers of bonuses to providers that agree to have their reimbursements based more on outcomes than on the volume of services they provide. The bill would also consolidate 3 different Medicare incentive programs, including the one for meaningful use of an electronic health record system (EHR). Quality - In addition to measures used in the existing quality performance programs (PQRS, VBM, EHR MU) HHS will develop additional measures. Measures used by qualified clinical data registries may also be used to assess performance under this category. Resource Use - The resource use category will include measures used in the current VBM program. Meaningful Use - Current EHR meaningful use requirements, demonstrated by use of a certified system, will continue to apply in order to receive credit towards incentives in the new system. However, to prevent duplicative reporting, professionals who report quality measures through certified EHR systems for the MIPS quality category are deemed to meet the meaningful use clinical quality measure component. Clinical Practice Improvement Activities - Professionals will be assessed on their effort to engage in clinical practice improvement activities. Incorporation of this new component gives credit to professionals working to improve their practices and facilitates future participation in APMs. At the end of 2017 some incentive program penalties are sunset, including the 2 percent penalty for failure to report PQRS quality measures and the 3 percent (which would have increased to 5 percent in 2019) penalty for failure to meet EHR meaningful use requirements. The legislation would also require that EHRs be interoperable by 2017 and prohibit providers from deliberately blocking information sharing with other EHR vendor products. Another provision would require HHS to publish a list of clinical-decision support tools by April 1, 2016, that would be used in a program promoting the appropriate use of advanced diagnostic imaging. After Jan. 1, 2017, Medicare will pay only for images ordered by a clinician who has consulted one of these qualified systems and whose order adheres to what are called applicable "Appropriate Use Criteria." There is flexibility to participate in MIPS in a way that best suits a particular practice environment. These options could include: use of EHRs, use of qualified clinical data registries maintained by physician specialty organizations, and the option to be assessed as a group, as a “virtual” group, or with an affiliated hospital or facility. Technical assistance would also be available to help practices with 15 or fewer professionals improve MIPS performance or transition to APMs. Overall, there will be very strong incentives to participate in APMs. But the final product still needs to pass both houses of Congress and then be signed by the President. And hospital groups may be the first to try to guard their share of revenue. Already earlier this week the Federation of American Hospitals published a chart describing recent cuts on its blog entitled "Enough is Enough." There will be jockeying to determine funding, but I think we are closer than ever before to finally resolve this incredibly important issue, and at the same time make some smart moves in consolidating and simplifying programs while moving towards a payment system that rewards quality instead of quantity in healthcare. The Aetna Foundation has announced more than $1.2 million in grants to support the use of digital health technology, including mobile health or mHealth, among vulnerable and minority populations. The grants are part of a larger $4 million, three-year digital health commitment from the Aetna Foundation for the implementation and evaluation of technology innovations to help address public health concerns. According to recent research from the Pew Research Center, 31 percent of cell phone owners used their phones to look for health information in 2012, up from 17 percent two years earlier. Latinos, African Americans and people between the ages of 18-49 are more likely than other groups to access health information on their mobile devices. Additional Pew Research also reveals that nearly a quarter of low-income adults in the U.S. own smartphones and regularly access the Internet on a mobile device. "Through the support of the Aetna Foundation’s Digital Health Initiative, we will have the ability to empower people to take charge of their health"
The grants announced today will go to a diverse group of 23 organizations across 13 states, including health care organizations, regional hospitals and grassroots interventions all focused on easy-to-use ways to leverage existing technology to impact health. To ensure that Aetna Foundation-funded digital health programs are effective in improving the overall health and well-being of vulnerable and minority communities, all organizations the Foundation supports must meet strong evidence-based criteria. These criteria include sustainable projects that can demonstrate scalability; projects that have the potential for positive societal impact; digital health programs that leverage available evidence such as population health data or health care data; and digital health support built on a strong foundation of behavioral or applicable theory and grounded in research. As part of this overall commitment to an evidence-based approach to digital health innovations, the Foundation is supporting a call for papers in an upcoming issue of the American Journal of Public Health. To be considered for inclusion in this supplement, papers must be submitted by March 1, 2014, using the online submission system at http://www.editorialmanager.com/ajph. By leveraging the power of digital health technology, the Aetna Foundation is working to further its overall goal to improve health in vulnerable and minority communities. To learn more about the Aetna Foundation’s Digital Health Initiative and tangible ways your organization can benefit from their digital health innovations commitment, visit http://bit.ly/1fY2VQ7 or join the digital health conversation on Twitter with #digitalhealth. The Aetna Foundation, Inc. is the independent charitable and philanthropic arm of Aetna Inc. (NYSE: AET) Since 1980, Aetna and the Aetna Foundation have contributed more than $427 million in grants and sponsorships. As a national health foundation, we promote wellness, health, and access to high-quality health care for everyone. This work is enhanced by the time and commitment of Aetna employees, who have volunteered four million hours since 2003. For more information, visit www.aetnafoundation.org.